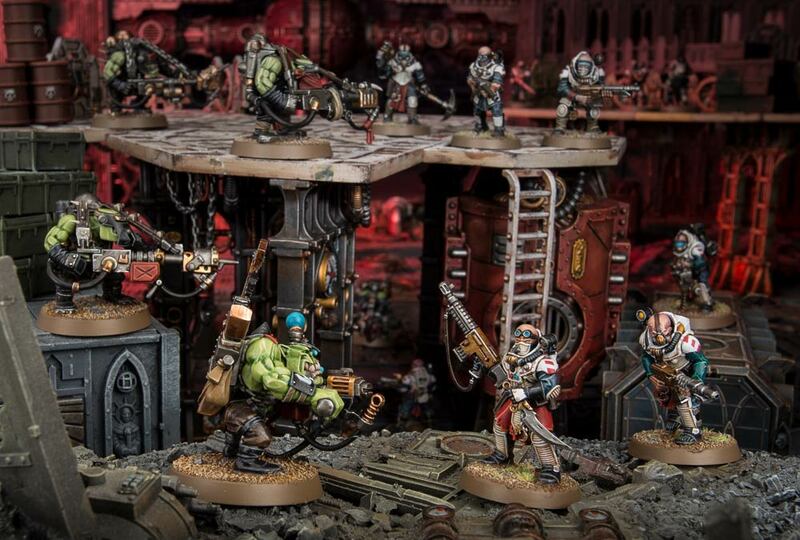 For some, Kill Team will be a game of tactics and strategy – a battle of wits where every decision is deliberate and exacting. Orks – and Orks players – tend to take a different approach, preferring instead to blitz through the enemy in a mass of dakka, choppas and muscle, spreading anarchy and leaving enemy kill teams in the dust. As an interesting note, the Burna Boyz in the Krogskull’s Boyz expansion for Kill Team look to be on 32mm bases, instead of the 25mm standard. Here’s hoping that we’ll see more than just base size shuffling when their 8th edition codex comes out later this year.